The Asian side of Istanbul is far less visited by tourists than the European side, but there are as number of sights worth seeing here. 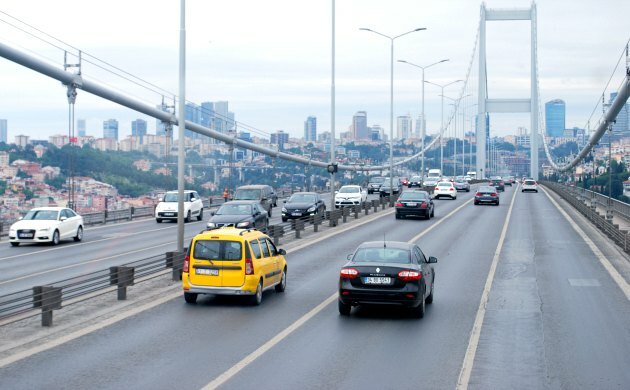 The Bosphorus Bridge itself (pictured above) which links the Asian side and European side is one of the most familiar structures in the city, but travelling over it is frequently frustrating. Traffic jams are common place at all times of day. The bridge does take you closest though to one of the Asian side’s best features, Beylerbeyi Palace. 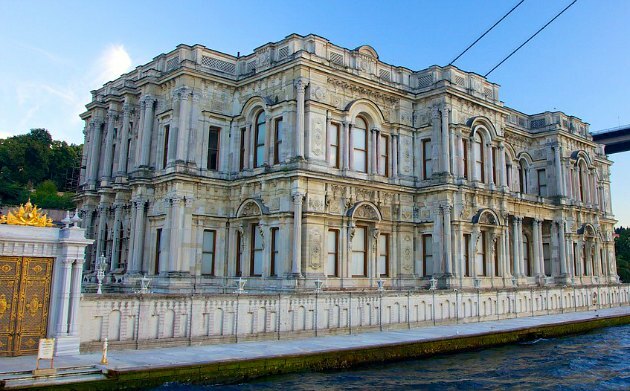 The palace was built in the 1860s as a summer retreat for the Sultan’s of the Ottoman empire. Inside, there is a large central reception hall complete with water fountain and everything else a Sultan would need to relax in the summer months. The palace is certainly more understated though than Dolmabahçe Palace which you can see across the water from most of the Asian side. Most of the other features on the Asian side are centred around Üsküdar. Üsküdar has busy ferry piers and its own Marmaray station. 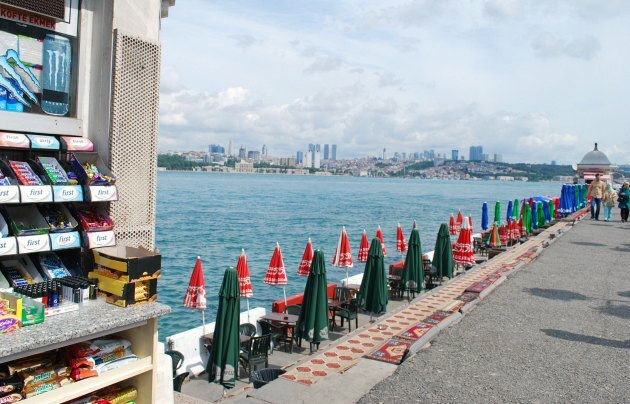 Once you arrive, there are plenty of restaurants and shops, but the highlight is walkway along the Bosphorus bank with lovely views towards the European side. 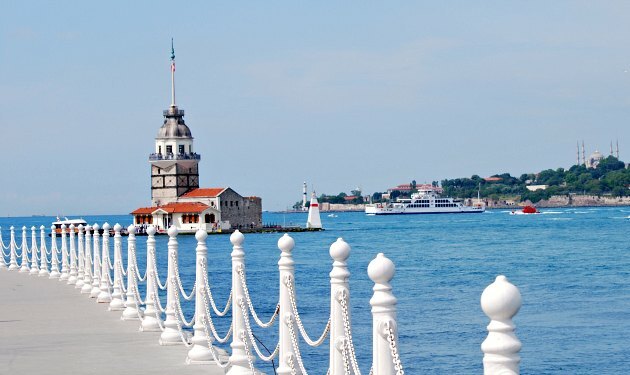 There are lots of benches to relax on and soak up the view and if you keep walking, just around the corner you’ll find the iconic Maiden’s Tower. There has been a tower standing in this location for hundreds of year, but the current one was immortalised in the 007 movie ‘The World Is Not Enough’. Regular boat crossing take place to allow you to get to the tower if you wish to visit. There is a cafe on the ground floor and a formal restaurant higher up. Also along this walkway is the Şemsi Pasha Mosque (pictured below) which although small is well worth visiting. 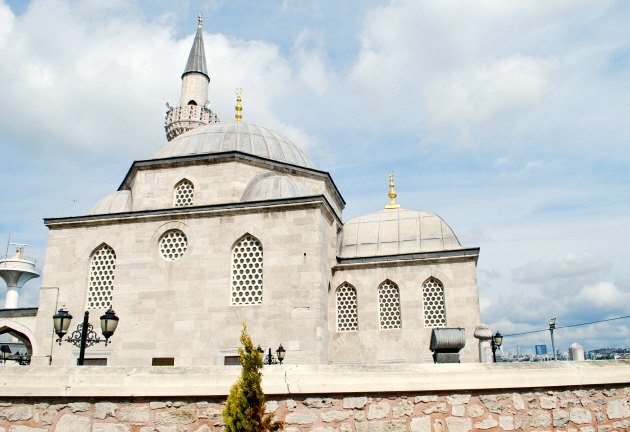 Inside you’ll find an attractive ptayer hall and unusually, the tomb of Şemsi Ahmet is joined on to the building rather than in a separate tomb in the garden.